The annual Greensburg Easter Egg Hunt held at St. Clair Park by Keystone Church and the City of Greensburg sponsored by PA Talk 98.7 on April 15 was fun for all, even the pups! 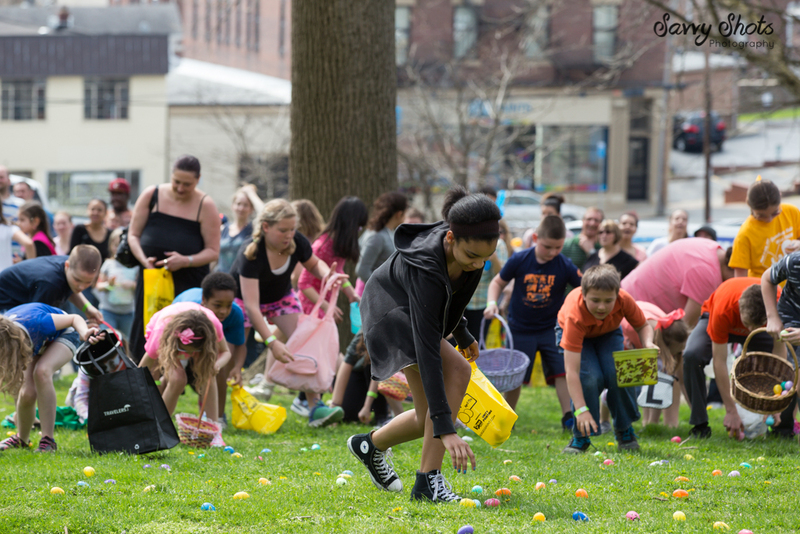 20,000 eggs filled with goodies were spread all over the park for local children to collect. A performance by Stage Right, face painting, balloon animals and visits with the Easter Bunny rounded out the fun morning for the kids! The pups got in the action too, finding their own Easter eggs filled with treats while the Action for Animals watched on. The City of Greensburg Police also brought along their K-9, Falco for a Police K-9 Demo.